Artificial Sweeteners ...Should You be Consuming Them? Continue reading "Artificial Sweeteners ...Should You be Consuming Them?" Continue reading "Chinese Black Tea - Varieties and Flavors"
Learn About Tea - Information Guide | Brewing Tips | Tea Shop! 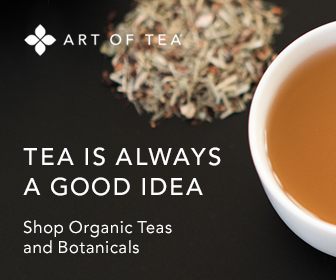 Continue reading "Learn About Tea - Information Guide | Brewing Tips | Tea Shop!" Continue reading "Herbal Tea Benefits – Teas to Drink for Better Health"
Continue reading "Russian Tea - Tea Drinking Culture in Russia"
Chinese Diet Tea - Does it Work and is it Safe? Continue reading "Chinese Diet Tea - Does it Work and is it Safe?" Continue reading "Quality Tea - Shop for Fine Teas and Artisan Herbal Blends"
Continue reading "Turkish Apple Tea"
Continue reading "Tea Bag Uses... Beyond Brewing Tea"
Flowering Tea - Blooming Tea - Beauty and Flavor! Continue reading "Flowering Tea - Blooming Tea - Beauty and Flavor!" Continue reading "Tea Associations - Contact Information"
Continue reading "Tea Industry Terms - Alphabetical Glossary"
Continue reading "Tea Party Ideas - Inspiration for Your Party Planning"
Continue reading "White Tea - How It Differs from Other Blends"
Continue reading "Gunpowder Green Tea - Health Benefits and Brewing Tips"
Continue reading "Hibiscus Tea - Health Benefits and Brewing Tips"
Continue reading "Tea Party Themes - Creative Ideas Your Guests will Enjoy!" Continue reading "Organic Kombucha Tea - How to Make It"
Continue reading "Herbal Teas - Health Benefits and Flavor"
Continue reading "Chai Tea - Spices, Recipes and History"
Continue reading "Benefits of Green Tea - Key Health Study Findings "
Continue reading "Amaretto Flavored Tea - Enjoy this Sweet, Delicious Brew"
Continue reading "Black Tea: Learn about Types, Tastes and Buying Tips"
Chinese tea culture is the blending of tradition and the art of drinking tea. Preparing and drinking tea has been of great importance for thousands of years. Continue reading "Chinese Tea Culture - Blending Tradition and Art"